We coined the term SmartApartment® because we’ve been at the forefront of technology design since the beginning. 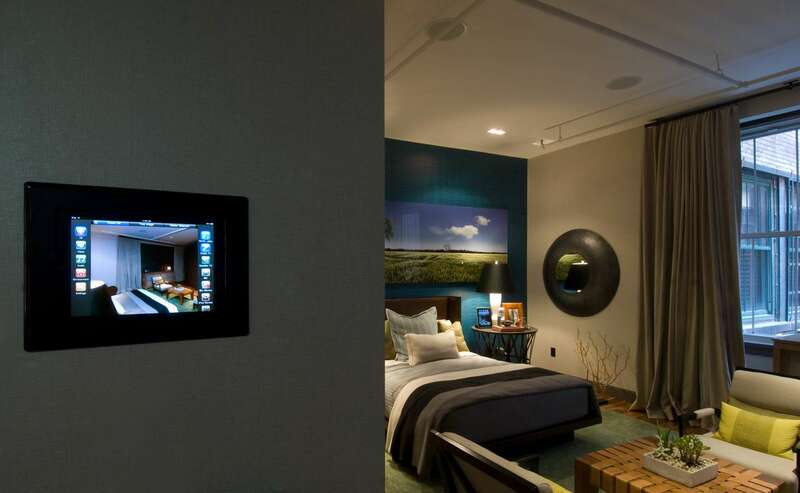 These technologies really do make a resident’s life safer, more convenient and enjoyable. Imagine this scenario: the resident pulls into the driveway after a long day. SmartApartment recognizes that they’ve arrived, turns on the lights, sets the music playlist to shuffle and the oven begins to preheat. Not bad for just showing up. Later on, one-touch of the “Night” button from the bedside puts the lights in “Sleep” mode, sets the alarm and makes certain the fountain lights dim to the overnight setting. It’s that easy for your residents, and it’s a winning formula for your properties and your business growth. We’ll set up a design so the temperature of the home changes depending on the time of day, audio equalization adjusts to match the style of music playing, and lights and shades adjust according to the position of the sun. InfiniSys designs systems that take annoying, repetitive tasks off the agenda, giving residents more free time to pursue their interests.